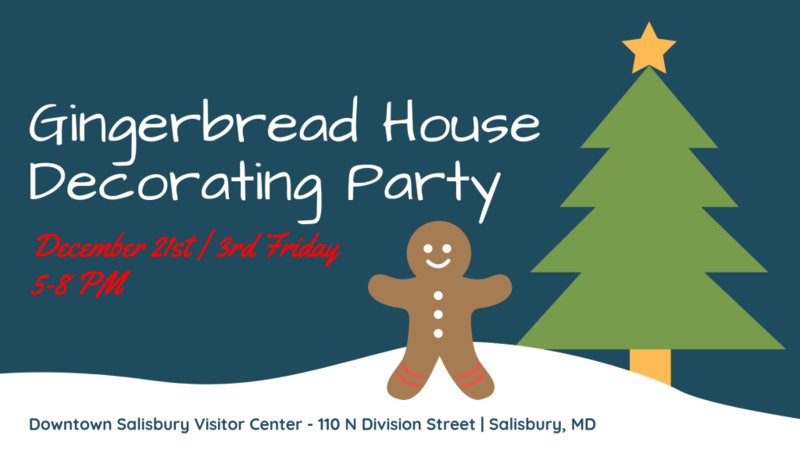 Join us and decorate your own gingerbread house at the Downtown Salisbury Visitor Center on December 21st from 5 – 8 PM. Registration is free, but please consider bringing a new and unwrapped gift to donate to Toys for Tots. Houses and all types of candy will be provided, but please feel free to bring a bag of candy to share if there’s something special you’d like to use for decorating. This event will sell out, so be sure to pre-register ASAP! You will receive an email if you’ve successfully registered, so please doublecheck your email upon completion. Apologies, but this event has filled up. We look forward to hosting this event again next year!